New - April Fools Day 2010 - BMW Political Roundel Attachment Tag and Google Animal Translate! 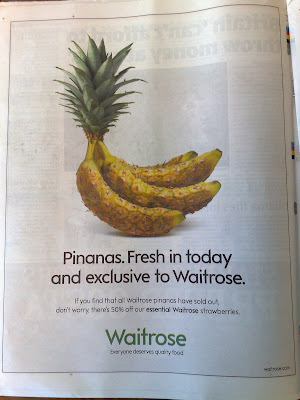 Waitrose supermarket are also running a 2009 April Fool creative, with an offer for Pinanas. Another nice example of April Fools fun in UK newspapers! Loool. This was really funny, all my bush friends at school actually believed this.